Isode's Directory products include servers and management tools. On this page you'll find information about our products for Directory Server and System Management. Tools for Directory Data Management are also available. 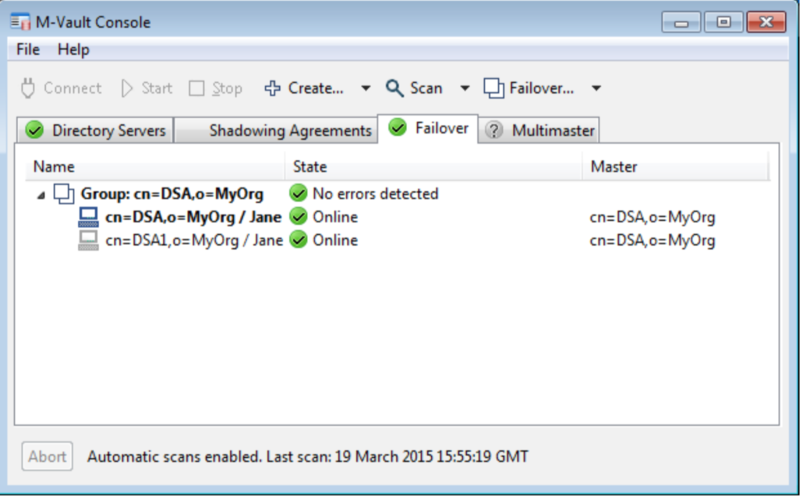 Creating, deleting, starting, stopping DSAs (and shadow DSAs). Set-up and management of failover clusters. Setup of peer servers for chaining and replication (shadowing), setting up both ends together where both machines are managed. Configuring authentication requirements, both server/server and client/server. 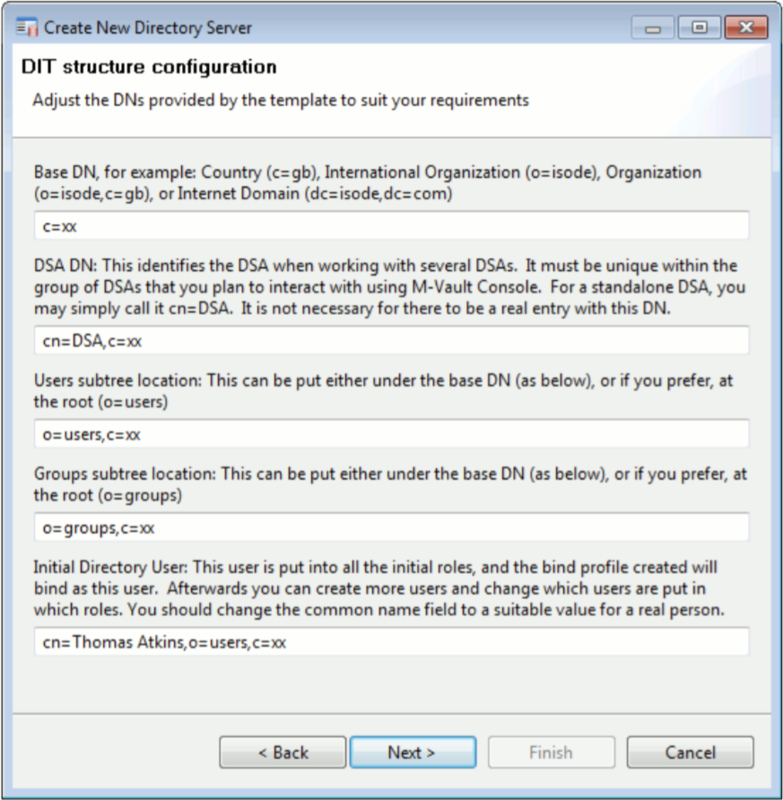 Configuration of directory databases, and naming contexts. Password policy management, including hashing and SCRAM setup. The Directory Setup Wizard, which enables easy configuration of multiple DSAs on a single machine, provides a setup which can be used 'as is' for many deployments. The Wizard creates an initial user, useful groups, and default ACI (Access Control Information). This enables ACI to be handled by role based groups for directory and application management functions. The Shadow directory setup wizard takes defaults from an existing server and replicates in groups, access control and selected data. PKI and Strong Authentication setup, including identity creation and interaction with a CA. Creation and management of shadowing agreements. Creation and management of failover clusters (see the next section). In the screenshot below MVC is shown managing a failover group with the failover group master clearly indicated. While M-Vault Console is ideal for dedicated monitoring of M-Vault deployments, integration with general purpose monitoring systems is often desirable. SNMP is the best way to achieve this, and M-Vault supports the latest SNMP MADMAN (Mail and Directory Management) MIBs (Management Information Base), specified in RFCs 2788 and 2605. SNMP enables integration with general purpose operator monitoring tools such as OpenView, and with Web based monitoring systems such as Cacti. More information on Isode's SNMP support is available.